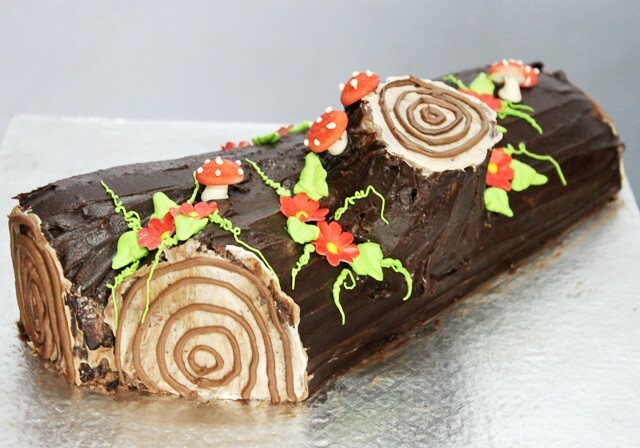 This rich and creamy Yule log is not for the faint-hearted - it's a decadent triple-chocolate Christmas treat, but it's as easy as making a Swiss roll. The one major change I'm going to make, however, is to introduce some milk chocolate to the mix: a ganache made entirely from dark chocolate is too bitter for my taste, and definitely wouldn't appeal to my nephews and nieces, who would almost certainly be the target market for this particular festive dessert. Milk chocolate gives it a more universal appeal.